A great wall sticker quote shaped into a dress. 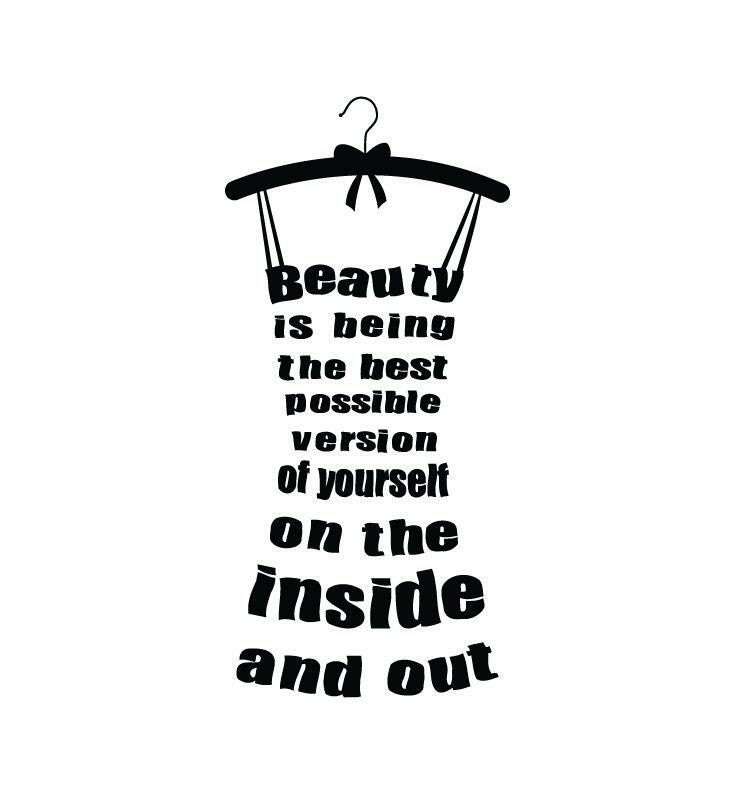 The quote reads “Beauty is being the best possible version of yourself on the inside and out”. An amazing wall sticker quote to feature on your wall. A beautiful and motivational wall art sticker. 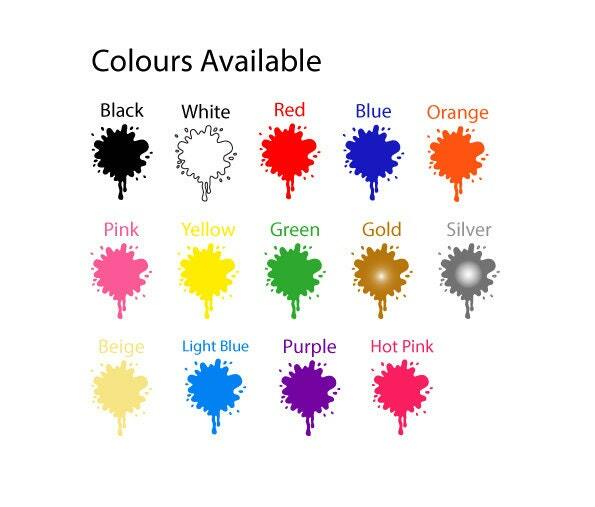 Sold in 3 different sizes and 14 colour options. Wall stickers/decals come with an application sheet (see through material), and a backing paper (white paper). The application sheet is a low tack paper that sticks to the face of the wall sticker. This sheet allows you to apply the wall sticker on to the wall in one piece. STEP 1 - Lay out the sticker on a flat surface and swipe over the wall sticker with a credit card, squeegee or anything flat you can get your hands on. This will ensure the wall sticker sticks to the application sheet. STEP 2 - Carefully begin to remove the vinyl backing paper (white back paper). The front of the decal should now be stuck to the application sheet (see through material). If required, repeat step 1 if certain parts of the sticker are not being removed from the white backing paper. Some letters/items don't always peel off. If all fails these items can be applied seperately at the end, by simply peeling them off the application sheet yourself, and applying to the surface. STEP 3 - Position your wall sticker onto the wall or surface you've chosen, once you're all happy with it and the positioning, rub over the wall sticker again using your credit card or similar object. Be sure to apply alot of pressure to ensure the wall sticker completely applied to the wall/surface. STEP 4 - Finally, very slowly peel away the application sheet (clear material). Your wall sticker should now be transferred onto the wall/surface. If not, repeat step 3 and ensure you press and apply pressure to all areas of the wall sticker onto the surface. 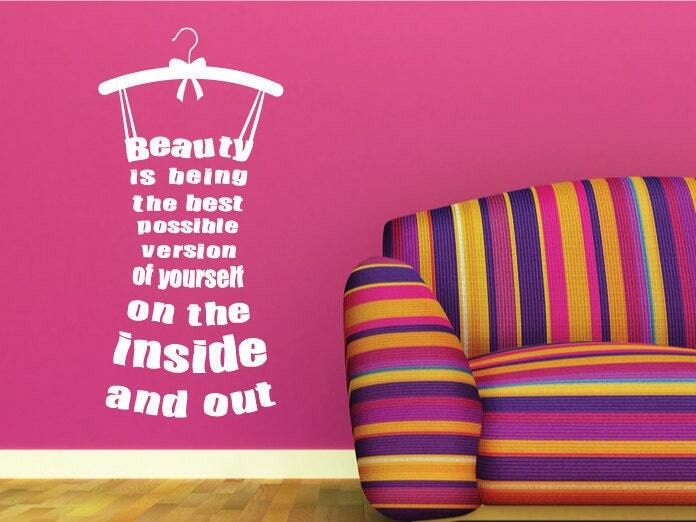 That's it :) Your wall sticker should now be applied, and should look absolutely fabulous!